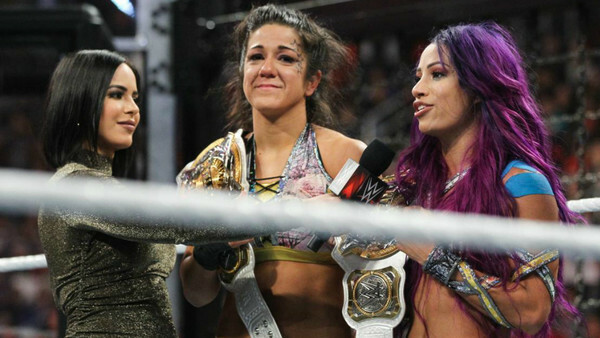 The content, almost dumbfounded look on Bayley's face at Elimination Chamber this past February said it all. She'd just become one half of the new WWE Women's Tag Team Champions, forged fresh history for females in the company and did it all with her mate. 10-15 years earlier, she could only have dreamed about winning titles or working alongside her heroes on TV every week. The same goes for many of WWE's current roster. 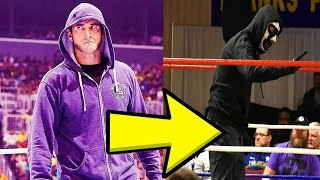 This gallery looks at WWE stars past and present who grew up as fans, and it shows everyone from Bayley, Sasha Banks, Roman Reigns, Kevin Owens and Drew McIntyre as wide-eyed kids/teens who were thrilled to show off their passion. You'll see cosplay, action figures, cardboard cutouts, posters, home-made signs, posed pictures, dodgy haircuts and more in this feast of fandom. It's an often-cringeworthy look back to a time when these guys and gals weren't stars, they were punters.